SR61 HD DPM - Durable and convenient! 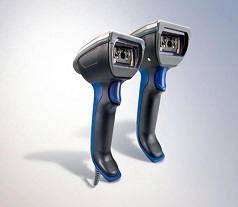 Fast - Cutting-edge imager scans 1D and 2D bar codes with unmatched motion tolerance and fast time-to-read, while also supporting image and real-time video capture. Optimized - Customized imaging engine scans dot peened, chemical- or laser-etched direct part marks on a variety of substrates. It can even read small, reflective and low-contrast marks. Rugged - Designed to withstand drops from 6.5 feet, hot and cold temperature extremes, constant forklift vibration and windblown dust and rain. Easy to use - Highly visible aimer makes spotting bar codes fast and efficient. Ergonomic - Comfort grip and omnidirectional scanning capability improve operator efficiency. Proven - Part of a complete line-up of proven SR61 scanners.